Congratulations. You’ve earned your dive certification and checked one more item off the bucket list. 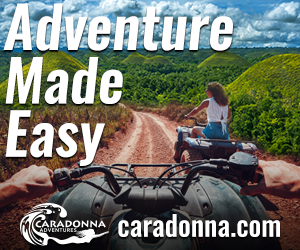 Now it’s time to put that C-card to use, and venture beyond the local lake or quarry on your first real dive vacation. I was often asked this question during my years as the editor of Sport Diver magazine. My answer: choose somewhere with clear water and no heavy currents. A place with plenty of shallow to mid-depth dive sites that could be reached right from the beach, or by way of a short boat ride across calm seas. Equally important was a well-developed dive culture where shops, dive masters and boat crews were accustomed to working with divers from a broad range of backgrounds and experience levels. Add these factors together, and for most divers living in north America, three Caribbean destinations float to the top. 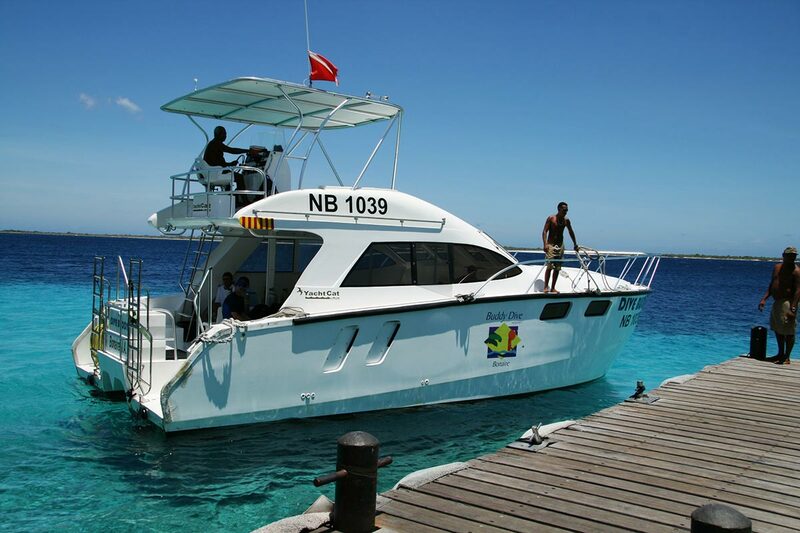 I’ve sent hundreds of divers to these islands, and all three are ideal for your first dive vacation. Easy shore diving makes the laid-back island of Bonaire one of my favourite places to bring first-time divers. At several resorts set along the island’s calm western coast, the corals grow in shallow water just a few yards from shore. Scuba doesn’t get much easier than this: you gear up on the beach or from a dock, with the dive staff right there to help if needed. Then you wade into the water when you’re ready. This “walk-in” access allows you to move at your own pace, with your own space. Compared to boat diving, which happens on a schedule and puts you elbow to elbow with other divers, this can be a plus for first-timers. And that’s just the beginning. There are more than 50 shore dives spaced along Bonaire’s west coast, and all you need to reach them is a rented pickup truck. Yellow-painted rocks sit along the coastal highway, marking parking spots for each site, and after gearing up on the tailgate, you just wade right in. When my son earned his junior open-water certification, we headed to Bonaire, rented a truck and spent a great week logging his first dozen open-water dives. We started shallow and easy, then as he built confidence and experience, we could transition to dusk and then night dives, making his first boat dive an even, easy process. For decades, the Cayman Islands remained the number-one dive destination in the Caribbean. With 365 dive sites spread across three islands, it’s literally possible to visit a different underwater environment every day of the year. The Caymans first gained international fame as a wall-diving mecca. Within shouting distance of Cayman’s shores, reefs transition to cliff-like walls that plummet to depths of more than a mile. These sheer profiles combine with the region’s exceptionally clear water to create the sensation of weightless flight when divers hover on the edge of a wall. This level of vertical exposure might seem a bit extreme for new divers, but the general absence of strong currents in the Cayman Islands and the attentiveness of dive masters makes it a safe thrill. And there’s more to the Caymans than walls. Sites closer to shore offer novice-friendly coral gardens and easily viewed shipwrecks. There are several areas where it’s possible to dive right from shore. And there’s Stingray City, which is not just for snorkellers: when visiting this famous site, divers can slip into deeper water on the edges of the sandbars, escaping the crowds and enjoying more personal encounters with the rays. I’ve brought dozens of new divers to the Cayman Islands, and have always found it was an ideal destination for building on the basic skills learned during certification. After warming up with a shore dive, newbies can move up to boat rides to shallow sites to build confidence and hone skills, add in a first-time visit to a wreck, then make that first-ever underwater flight along an underwater wall. The Bay Islands of Honduras—Roatan, Utilla and Guanaja—sit at the southern end of the Great Mesoamerican Barrier Reef. All three islands attract their share of divers, with Roatan claiming the lion’s share of both certified and would-be divers. A combination of affordable accommodations, white-sand beaches and clear water make this island a favourite with the backpacking crowd, and many earn their dive certification during their Caribbean travels. It’s estimated that more than 200,000 new divers visit Roatan each year, and the island is home to dozens of scuba schools and instructor development centres, and a dive-centric culture that permeates the island. After the day’s diving is done, the waterfront pubs fill with divers, dive masters and instructors; both the stories and the libations flow well into the night. The conditions that make Rotatan an ideal place to learn to dive are equally appealing to newly minted divers. The reefs are colourful, the waters clear and calm, and there’s an abundance of marine life to discover. Many dive resorts offer what is known as a house reef—a shore-diving site right off the property’s beach that can be accessed at any time to practice skills or gain confidence before moving onto a boat dive. Because there are dive sites all around the island, there’s almost always calm water to be found, even when winter storms blow in on the north shore. One recommendation I usually make when sending a group to the Bay Islands is to save a day or two for an adventure on the Honduran mainland. 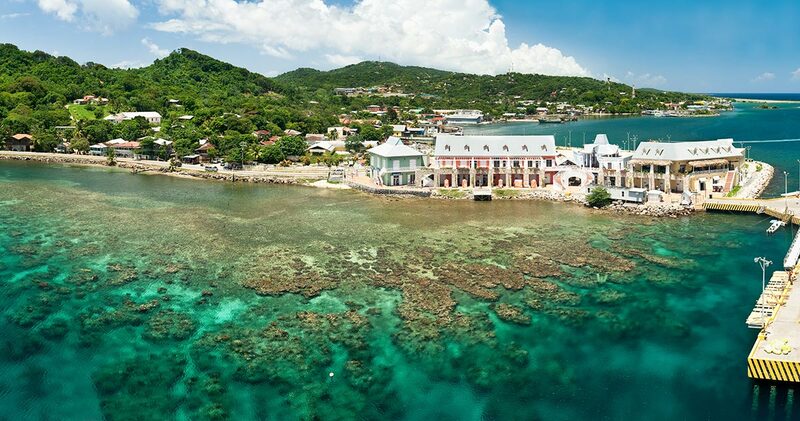 Roatan is just a ferry ride or a puddle-jumper flight away from the coastal town of San Pedro Sula, which is the gateway to jungle adventures in Pico Bonito National Park, and tours of the enchant Mayan city of Copan. Ready to plan your own Caribbean diving adventure? Get in touch by emailing [email protected], or give our office a call at 800-330-6611. We know all about the underwater scene on these islands, and many more of the best diving and active adventure destinations in the Caribbean and around the globe.